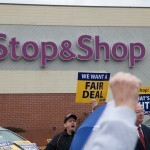 With negotiations continuing to drag on, 35,000 hardworking men and women at Stop & Shop stores in New England have been working under an expired contract since late February. 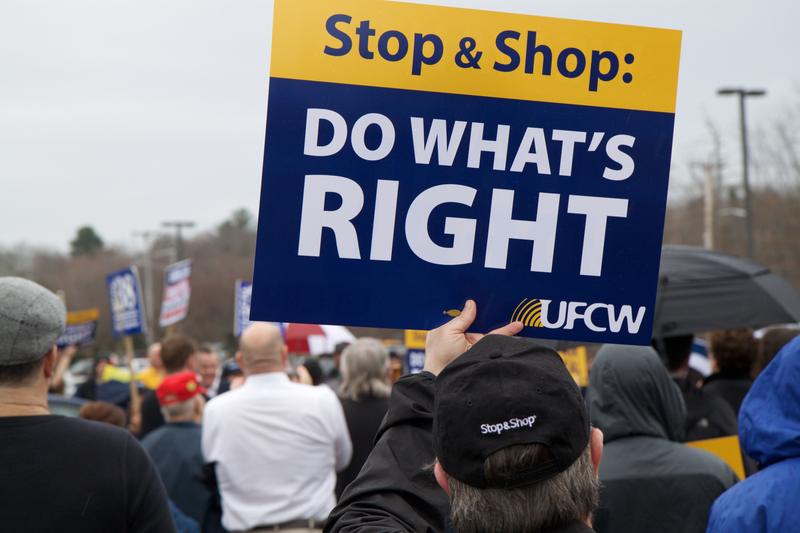 Today, the New England Council of the United Food and Commercial Workers (UFCW) union announced a series of rallies in the campaign for a fair contract for 35,000 Stop & Shop workers in New England. Wednesday, March 16th, 4-6 P.M.
Thursday, March 17th, 4-6 P.M.
Tuesday, March 22nd, 4-6 P.M.
Wednesday, March 23rd, 4-6 P.M.
Thursday, March 24th, 4-6 P.M.
Stop & Shop’s parent company, Netherlands-based grocery giant Ahold (which also owns Giant Foods), recently announced operating profits for last year in excess of $1.4 billion. Today, Ahold and Delhaize shareholders approved the merger of their companies, which will be completed later this year. 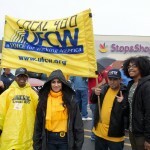 Prior to closing of the merger, Ahold shareholders received a payout of more than $1 billion. 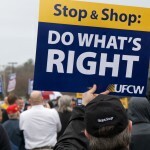 While paying out dividends to foreign shareholders, the company is demanding that workers accept cuts to longstanding benefits, decreasing take-home pay and cutting future retirement benefits despite a fully-funded and secure pension fund. 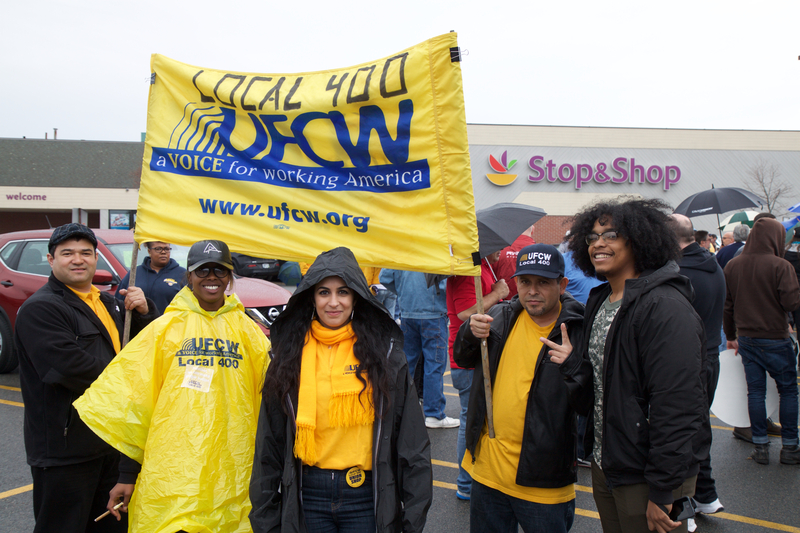 The company is further demanding that future workers be given second-rate benefits and pay, transforming Stop & Shop’s once middle-class jobs into low-wage jobs. 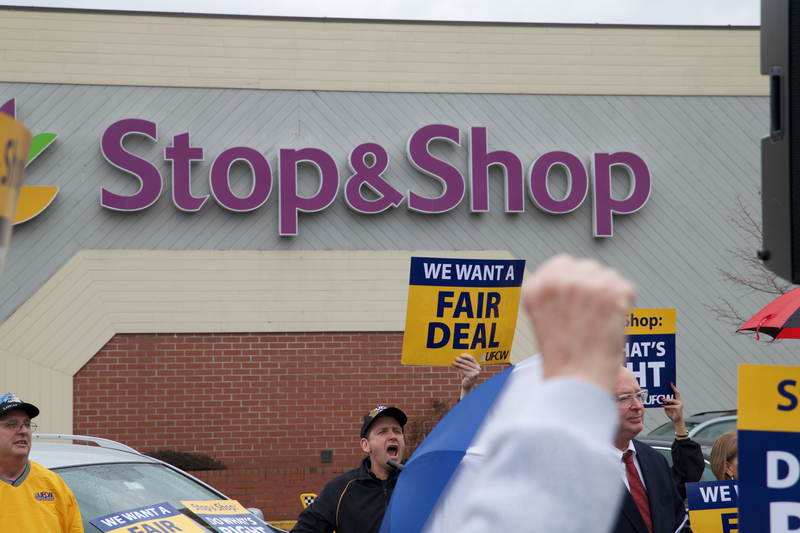 To show your support for a fair deal at Stop & Shop, call the company’s service line at 1-800-767-7772 and tell them to stop threatening our New England members and their families.